Take back your body. Get Healthy Now. Commit to be fit today. Personal trainers provide the one thing that paralyzes most workouts...motivation. 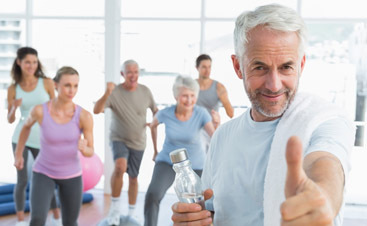 We offer a variety of fitness classes to keep your workouts new and interesting! Check out our schedule. We specialize in medical, sport, and deep tissue massage. Schedule your appointment today! Want to start at the gym risk free? Sign up for a 3-day trial pass to our world-class fitness center! Almost 20 years ago, Houston Gym opened as an alternative to big, impersonal fitness centers with staffs of high-pressure salespeople. 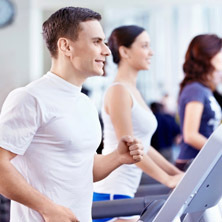 We built a fitness center that boasts NEW state-of -the-art equipment, yet retains the casual feel of a neighborhood gym. You can leave your daily worries at the door or sweat them out. Either way, you will always feel welcome. 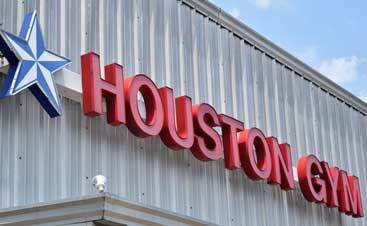 Simply put, Houston Gym is a place for people who are serious about achieving physical fitness. THEY WERE THE PUSH I NEEDED TO START GETTING HEALTHY"
Houston Gym Specialties: weight loss, toning, weight training, bodybuilding. Accommodate individual needs. Unique: Programs based on work-out experience, time constraints, budget and goals. Fun, friendly atmosphere; unrestricted access to the club. Background: Certified/degreed professionals specializing in programs ranging from weight loss and toning programs to competitive bodybuilding and nutritional programs. Houston Gym is a laid-back, high-energy neighborhood spot with all of the modern equipment and none of the attitude of the large chain gyms. It offers an extensive freeweight facility and has upgraded to LifeFitness Cross-Trainer machines for low-impact cardiovascular workouts. 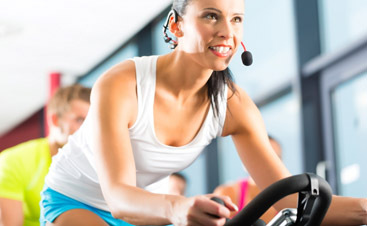 The gym concentrates on all aspects of fitness,from cardiovascular to wieght training. One of the 15 personal trainers on staff will walk you through your first three or four workouts and help you determine your personal fitness goals. Not only is the gym’s attitude relaxed, its payment plan is too — you are only required to sign up for a simple one-year contract.